In 1976, after leaving the Spanish Television's Ballet, Mayte Mateos and María Mendiola formed the duet Venus. They had their first televised appearance in the Palmarés programme, where they acted in a style reminiscent of the Kessler Sisters. Their elegant style contrasted with the traditional style of shows at the Zaragoza theatre where they were performing, and therefore the owner ended the contract Venus had signed. Nevertheless, thanks to her personal contacts, María negotiated some galas in the Canary Islands. In Tres Islas Hotel, in Fuerteventura, a providential encounter with Leon Deane, manager of the German RCA, Patrick Krevitz and Fred Dieckmann, also related to the music industry, resulted in the recording of an album under the new name of Baccara. The album, written and produced by Rolf Soja and Frank Dostal, would surpass the expectations of the record label and of both girls. In 1977, Baccara sold more than 16 million copies of the single "Yes Sir, I Can Boogie", getting registered in the pages of the Guinness Book Of Records as the female musical group that had sold the most records to that date. "Yes Sir, I Can Boogie" was the first single sung by a female duet to reach number one in the United Kingdom and the first by a Spanish artist until Julio Iglesias, four years later. Baccara became one of the Spanish groups of greater international recognition, although harvesting most of its success outside of Spain. 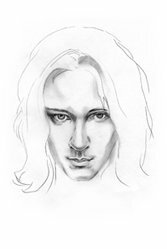 They reached number one in almost all European countries, with particular success in Germany (where their records were produced), Norway, Russia, Sweden and (to a lesser degree) the United Kingdom. The audience discovered two elegant and glamorous women with a peculiar wardrobe always in black and white, interpreting sensual songs. Baccara represented Western Germany with the song "Mad In Madrid" in the eighth edition of the World Popular Song Festival, held in November of 1977. Mayte and María were the great favorites of the Festival but, unfortunately, achieved only fourteenth place. This Festival was the largest musical contest in the world and was based on the philosophy that music is the common language of all mankind, breaking political and economic boundaries. It was organized by the Yamaha Music Foundation in the city of Tokyo, Japan from 1970 till 1989 with participating countries from all continents. Baccara participated in Eurovision Song Contest of 1978, representing Luxembourg with the song "Parlez-Vous Français?". It received the maximum score on the part of Italy, Portugal and Spain, but it finished in seventh place. Nevertheless, the song was the most sold of all those that participated in that edition of the Contest. In 1978, Baccara also received the Bambi Prize, granted by Burda Publishing Group, which is the most important award offered by the media in Germany. This Prize is given to prominent personalities that manage to locate themselves in the centre of public attention, and whose performance gives people the courage to confront the future. In 1979, on the occasion of the International Year of the Child (declared thus by the UN), Baccara recorded the song "Eins Plus Eins Ist Eins" to celebrate the twentieth anniversary of the Declaration Of The Rights Of The Child and to encourage its application. After a series of great hits such as "Sorry, I'm A Lady", "Darling", "The Devil Sent You To Lorado", "Body-Talk" and "Ay, Ay Sailor", the duet split up as a result of a controversy that arose with the launching of the single "Sleepy-Time-Toy". In 1981, after recording their fourth album without Soja/Dostal, the two members decided to launch solo careers. Neither Mayte nor María achieved much success as a solo artist and, after some years, they looked for new companions and formed duos. As a result, two formations now exist with the same name. At the present time, María has Marisa Pérez as her companion (since 1986), and Mayte partnered with Francesca Rodrigues. 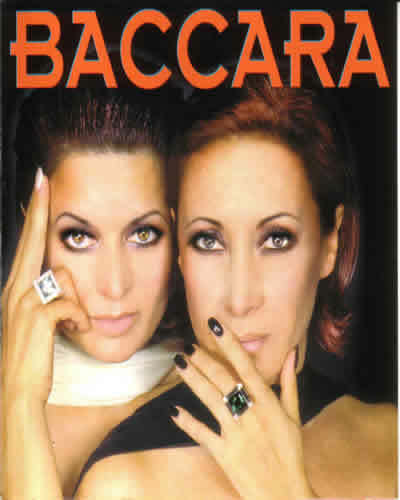 Both Baccara duets continue performing all over Europe and they have not stopped launching new albums to the market. In 2004, Baccara (Mayte Mateos' formation) again tried their luck in Eurovision, taking part in the preselection contest to represent Sweden with the song "Soy Tu Venus", but the Swedish star, Lena Philipsson, got both the local and the international triumph. Christer Björkman, director of the contest, declared that Baccara represented a reviving and exotic contribution to the 2004 edition of the contest. In August of 2005, Baccara (María Mendiola's formation) had the honour to shape the tracks of their hands in the Walk Of Stars of the commercial centre Gasometer City, in the city of Vienna, Austria, before a multitude of reporters and fans that celebrated the immortalization of the famous duo.